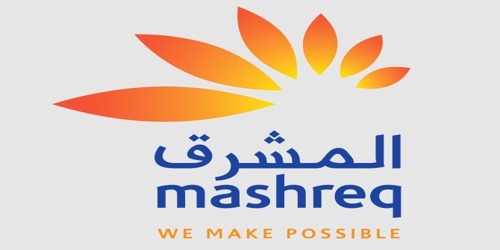 It is a broadly described annual report of Mashreq Bank in the year of 2014. During the financial year, Total Assets of the Bank cross AED 100 Billion for the first time in its history. Loans and Advances grew by 15.1% in the year; from AED 50.4 Billion in 2013 to AED 58.0 Billion in 2014 and Customer Deposits grew at an even faster rate of 16.9% to reach AED 68.5 billion. Total operating income of AED 5.8 billion for 2014 was an increase of 20.8% against last year operating income of AED 4.8 billion. Total Income ratio declined marginally from 51.5% in 2012 to 49.5% in 2013. The bank to post a Net Profit of AED 2.4 Billion in 2014, an outstanding growth of 33.0% over the AED 1.8 Billion achieved in 2013. The Board of Directors of the Bank was pleased to recommend a cash dividend of @40% of paid-up capital. This cash dividend will constitute only @28% of the profit for 2014.